Last updated 14 July 2015 . By Kiran Khattra. 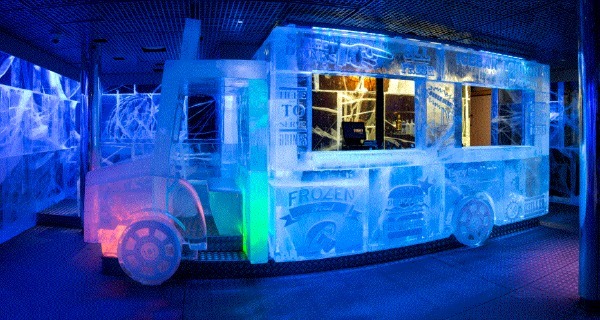 Just off Regent Street, located within the chic Heddon Street Quarter is the famous Ice Bar London – need I say more? 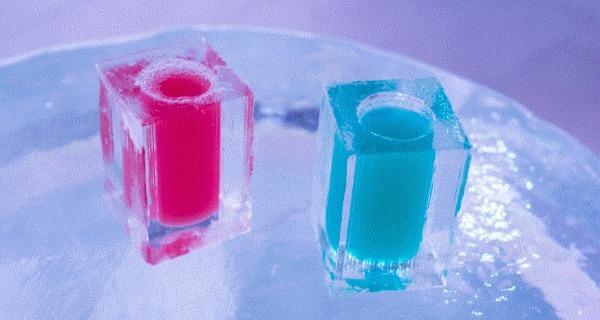 Not needing any form of introduction, Ice Bar London does exactly what it says on the tin. A winter wonderland hidden away from the business of Regent Street, this is the UK’s only permanent bar made of ice – and trust me it’s not melting away anytime soon! Kept at a lovely welcoming temperature of ­5 degrees, this cocktail bar is made out of crystal clear ice harvested from the frozen Torne River in Jukkasjärvi (yes it is a real place), Northern Sweden. Walls, tables, chairs, the bar and even your glasses are made out of – yep you guessed it – ICE! So you’re probably wondering, how does one survive such temperatures and enjoy a drink? Not to worry, everyone is provided with a hooded cape and gloves to keep you toasty and Eskimo looking – who doesn’t love looking like an Eskimo? Once a year the bar is transformed with a new theme and layout. I was lucky enough to see the British Bake Off style Crystal Clear Cupcake, American Diner iconography, Pop­Up Food Truck cocktail bar and giant sized pineapple. A true feast for the senses and a mixture of things to look at, the detail is truly amazing and only something you can admire properly in person. Enjoy a 40-minute slot in this breathtaking bar, then warm your cockles in the cosy (non-frozen) bar and restaurant afterwards. Wetting my palette in the frozen wonderland, I opted for the fruity Double Vision (Absolut blue vodka, apple puree, passion fruit juice and lemon juice), and for those wondering my sight was perfectly fine afterwards! Offering a selection of modern British dishes, you’re really spoilt for choice. For my starter I went for the roast pork belly (£7.5), risky as I’ve never had it before but a good gamble as it went down a treat. For my main I chose the slow cooked chicken breast (£16) that was accompanied with celeriac and tonka bean puree, shimeji mushrooms and anchovy butter. ­Yes I agree, some of those things I hadn’t heard of either, but who cares when it tastes so bloody good! Paired with duck fat fries (£3.5) I can honestly say it was a great selection of mouth­watering modern British food. Washed down with a glass of Purple Rain (£9) it complemented the meal perfectly and set my palette ready for dessert. Even though I was stuffed and the button on my jeans was saying no, who can ever resist a small dessert? Green tea s’mores (£6.5) were the ideal end to a hearty meal, crunchy yet soft and not overly sweet, it was like being at a glamourous campfire, but without the camp or the fire. 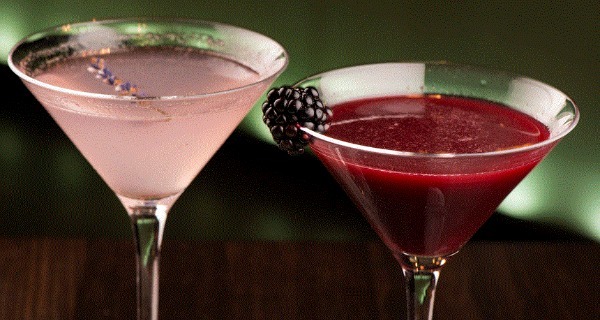 Frozen liquid sensations make a big statement, and there's modern British cooking to soak up the booze. For a Wednesday night, Ice Bar had a decent crowd enjoying all different sections of the venue. In the outside seating area and indoor bar were city­workers enjoying a hump­day tipple. The Ice Bar itself had a mixture of shivering friends, couples and birthday parties, and of course the downstairs was filled with hungry Eskimos enjoying the tasty food. The atmosphere was lively yet relaxed and the perfect getaway from the bustle of Regent Street. A renowned cocktail attraction with a frozen bar and an alfresco terrace, it was no surpise to find this place bustling.